Celebrates great traditions in boat building and maritime heritage and features on-water and on-shore events. Copper Coast Cornish Festival is held biennially in odd numbered years. Enjoy the fun and excitement of Yorke Peninsula's festivals and events. From traditional country shows to the world’s biggest Cornish Festival, art exhibitions, markets, boat regattas and gala days. Search for Yorke Peninsula events below, or call into a Visitor Information Centre for the latest updates on events and markets. An annual event celebrating everything food, music & art, A Day At The 'Burgh is a fantastic community day out for family & friends. 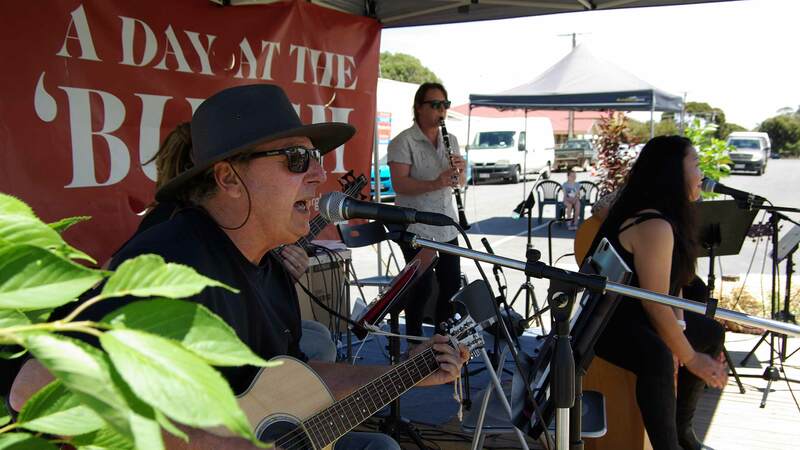 Held in the streets of historic Edithburgh, the festival showcases local produce & wines, and amazing Yorke Peninsula musicians & artists. A Day At The 'Burgh has something for everyone including kids activities, fashion parades, vintage & classic cars, music, gourmet food, wine, cider, beer, live music and so much more in a relaxed atmosphere. The Kernewek Lowender - Copper Coast Cornish Festival is held biennially in odd numbered years, in the historic copper mining towns of Moonta, Wallaroo and Kadina. The Kernewek Lowender has grown to become the world's largest Cornish festival. Join in the fun and celebrations and experience authentic Cornish customs and fare. From maypole and furry dancing, to the big Cornish pasty bake-off, the gathering of the Bards, dressing of the graves, art exhibitions, fairs, concerts, great food, wine and Swanky beer! Other big drawcards are the Moonta Procession and Street Party, Kadina's Village Green Fair, and the Classic Cavalcade of Cars. Held annually on New Year's Day, the Port Vincent Gala Day has festivities throughout the day and finishes with a spectacular fireworks display over the bay in the evening. The Port Vincent Gala Day is a fun day for the whole family with sideshows, rides, stalls, entertainment, food and displays. This popular community run event has been running for over 25 years and includes a sandcastle competition and children’s activities. Why not start the New Year off with a great day out at Port Vincent? Australia's oldest field days - showcasing agriculture and the rural community at its very best. This 3 day biennial event has a major focus on agriculture and the future, with extensive displays of the latest machinery and equipment, technology, information and services on a 30 hectare static display site area at Paskeville. The Yorke Peninsula Field Days also include an extensive general interest program and are a great day out for both rural and urban families. Yorke Peninsula's Saltwater Classic, celebrates great traditions in boat building and maritime heritage and features on-water and on-shore events throughout the weekend as well as displays, entertainment and the award winning Stansbury Seaside Markets. Held in the sister towns of Stansbury and Port Vincent every 2 years the event attracts restored vessels from across South Australia and interstate. Yorke Peninsula’s Saltwater Classic is open to all boats, but with a focus on sail and power boats of wooden and fibreglass construction in original or vintage mould.